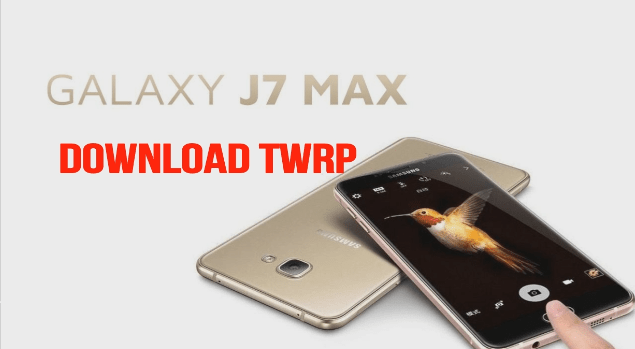 Here is a quick frp unlock trick for Samsung S7 android 8.0 Oreo. If you are using Samsung Galaxy S7 android oreo device and now it’s stuck on Google account verification screen after factory reset then follow this Galaxy S7 frp unlock trick 2018. 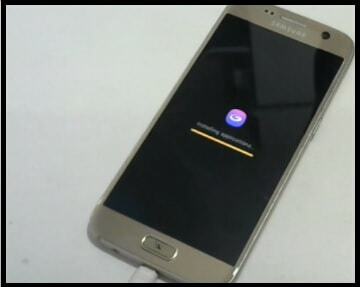 It’s 100% working and tested frp bypass method for Samsung galaxy s7 mobile. 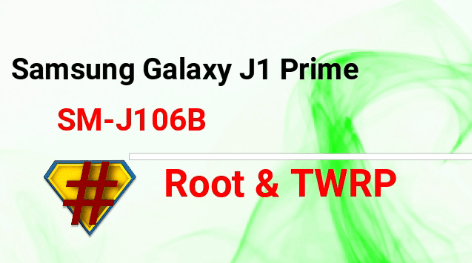 In this Samsung Galaxy S7 frp unlock trick, we will use Samsung S7 combination file with frp lock file [.bat]. If you are new about Samsung combination file or adb file then read the post here for more detail. Combination file is a factory binary file for Samsung devices. It’s use to unlock OEM and enable adb in frp locked Samsung mobiles. 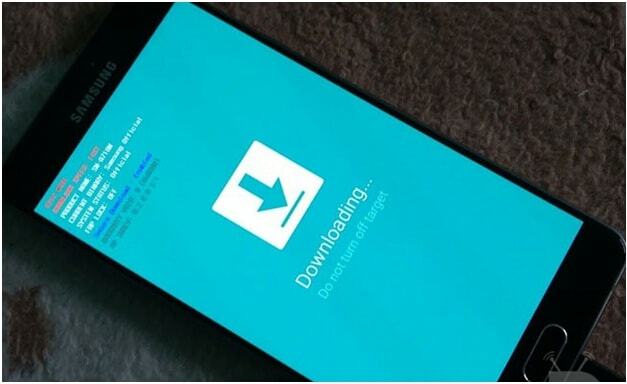 After flashing adb files or combination file, you can bypass Samsung frp lock by using any third party frp unlock tools like Samsung FRP hijacker tool, bat file or any Samsung frp tool. May be you know that frp bypass tricks depends on latest security patch level. Because of this update, sometimes older method may not work properly. But if we talk about, combination files then no need to worry about security patch level. It’s an universal method for all Samsung smartphones. But remember, combination files may be different for different devices. 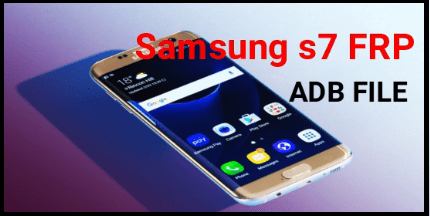 Simply download Samsung Galaxy S7 combination file and flash it with official ODIN tool to enable adb interface in frp locked Samsung S7 mobile. Once you have adb enabled frp locked S7 in your hand, use the frp .bat file or any other adb frp bypass tool like Samsung hijacker tool. Samsung Galaxy S7 frp bypass method is so simple to for all noob and advanced users. 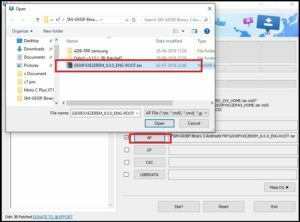 Simply flash Combination file with Odin tool and then run adb frp unlock [.bat] file to remove frp lock within one click. Download all files and extract them in one folder for easy navigation. Now run odin.exe and launch it on pc. Once the tool launched, click on “AP” button and load “G930FXXE2EREM_8.0.0_ENG-ROOT.tar” file from extracted folder. Finally hit on “START” button from the tool. Now come to the device and boot it into “DOWNLOAD MODE” by using key combinations. Power OFF >> Press & hold volume down key + home key + power key together at the same time. Connect the device with pc via USB cable in download mode. If the device is properly connected with pc, tool will detect the device and start flashing process automatically. After completing the flashing process it will show the green “PASS” message on tool. Please Note: Don’t unplug the USB cable. 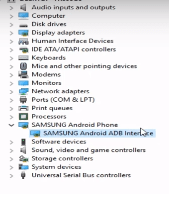 Device will reboot automatically and will create “Samsung android ADB interface” under the device manger. That means, USB debugging enabled in frp locked Samsung Galaxy S7 mobile. 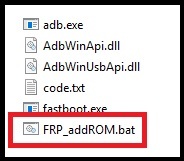 Now open “ADB-FRP Samsung” folder and run “FRP_addROM.bat” file as by double click. It will open a command window and run frp bypass commands automatically. Done!!! 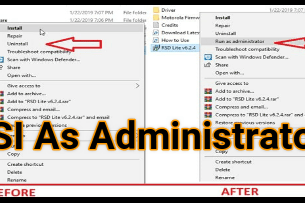 close the command window and setup the device again as a new device. This time it will not ask you to enter existing Google account information. That means, frp removed from Samsung Galaxy S7. 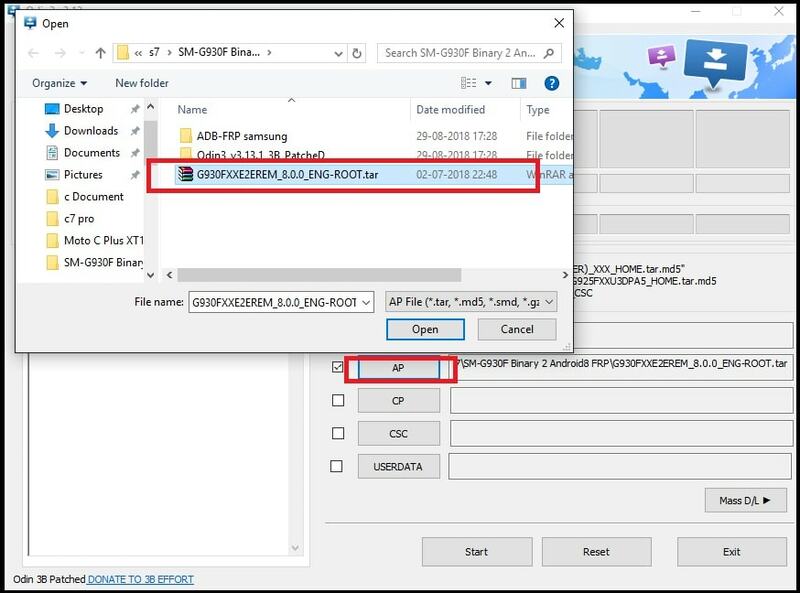 So guys this all about “how to remove frp on Samsung galaxy S7 using Odin tool?” As we already told you, it’s an easiest method to unlock Samsung S7 frp after factory reset and no need to worry about security patch level. Just download samsung S7 adb file or combination file, flash it using oDIN tool and then remove frp with ADB FRP tool [.bat]. Till now getting any issue in any step, please notify us by leaving your comment.